Metal Recycling – Make A Cool Candle Holder From Tuna and Pop Cans! 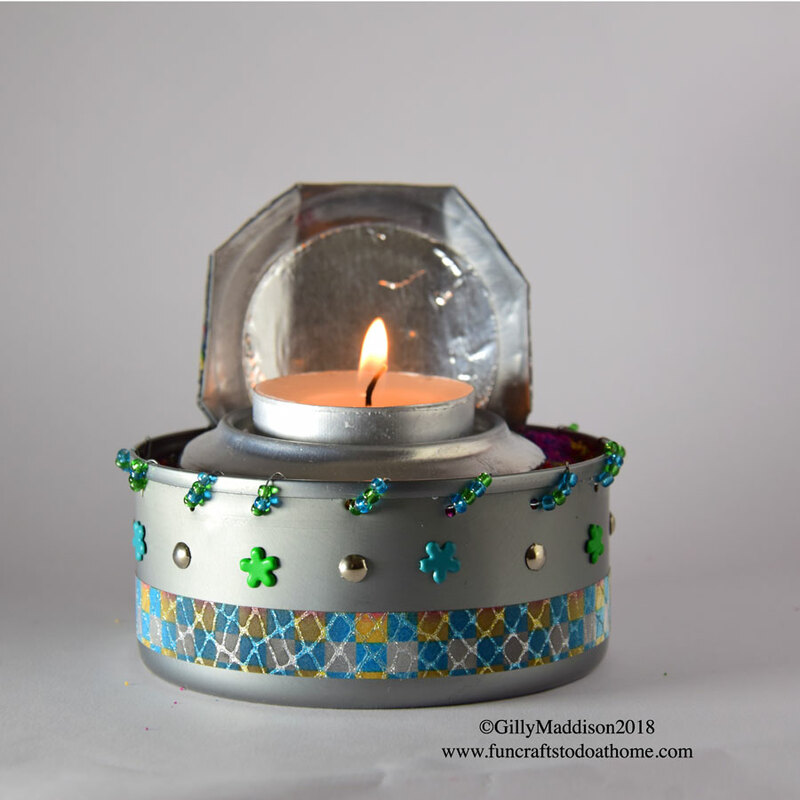 10th February 2018 by Gilly·Comments Off on Metal Recycling – Make A Cool Candle Holder From Tuna and Pop Cans! Metal recycling is so exciting because if you think about it, what it actually means is free craft materials! Yipee! We all love free stuff! Yes? Well I do if I can make recycled materials the centre of my project. I suppose technically they aren't free because we pay for the food packaging but, I class anything that would normally get thrown out as being free. Metal recycling in my crafts is one of my favourite things at the moment and so I produced this project for YouTube to show you what I'm doing. First of all, I\'m not sure if what I do with food cans is strictly metal recycling. Metal recycling, according to all the research I have done, is about taking your cans and tins to a recycling point to be collected and turned back into other steel or aluminium products. Apparently there is no limit on the number of times steel or aluminium can be recycled and it can take as little as six weeks for a can you take to a metal recycling point, to be back on the supermarket shelf. Metal recycling saves the earths resources and cuts down on Co2 emmissions. If you are very eco minded, you can read some interesting facts about metal recycling here. So I\'m kind of thinking what I am doing is upcycling. I\'m turning a tuna can into a candle holder without any melting down processes being involved - that has to be good... right? Is your metal recycling (or upcycling!) project steel or aluminium? If you want to know what material you are using, try the magnet test. The tuna can I used in this project stuck to the magnet so I\'m guessing it\'s steel. But the tin can I used was not drawn to the magnet which probably means it\'s aluminium. Either way, I saved two tins from the recycling process and made myself a beautiful candle holder that I am already using. What made this project fun for me was adding the bead and brad detail and to do that, I used my very useful I.8mm punch pliers (see below). People are always asking me where they can get this brilliant little tool and readers of this blog will know I do try to help readers source materials and tools. For readers living in any country serviced by Amazon.com, I have an Amazon storefront where you will find some of the key items I use, such as this tool. The punch tool I used in the video is on there if you want to get one. I have also put a direct link to the tool on this page. You can read my Amazon Affiliate Statement here. If you like this project - please do watch the video and have a go! You can experiment with different ideas once you have seen what I have done. The tutorials I do are designed to get your creative juices flowing so that you can come up with your own ideas. Metal recycling (or upcycling if you\'d rather) is great fun - so have a go and see what functional, gorgeous little crafty things you can make with empty food tins. Next Next post: Craft Supplies In Your Trash – Get Them Out and Use Them!